The Battle of Glenshiel 1719 by Peter Tillemans. The Battle of Glen Shiel (Scottish Gaelic: Blàr Ghleann Seile) took place on 10 June 1719 in the West Scottish Highlands, between a Jacobite army of Highland levies and Spanish marines and a government force of regular troops, plus a Highland Independent Company. 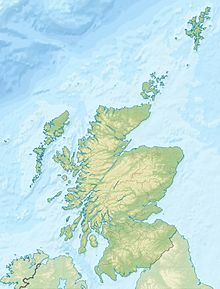 The most significant military action of the 1719 Jacobite Rebellion, it resulted in a government victory that ended the rebellion. Glen Shiel is also unique as the only battle in Scotland between 1689 and 1746 where the Jacobites remained on the defensive, rather than employing the Highland Charge. The rising was backed by Spain, then engaged in the 1718 to 1720 War of the Quadruple Alliance with Britain. Intended to support a landing in South-West England, only the Scottish segment took place and the manner of its failure was widely viewed by contemporaries as having damaged the Jacobite cause. The battlefield is included in the Inventory of Historic Battlefields in Scotland and protected by Historic Scotland under the Historic Environment (Amendment) Act 2011. The mountain where the battle took place is called Sgurr na Ciste Duibhe and has a subsidiary peak named Sgurr nan Spainteach or 'Peak of the Spaniards' in honour of the Spanish marines who fought there. Spain lost its Italian possessions of Sicily and Sardinia under the 1713 Treaty of Utrecht and recovering them was a priority for Giulio Alberoni, their Chief Minister. Sardinia was reoccupied in 1717 but when they landed on Sicily in July 1718, the Royal Navy destroyed the Spanish fleet at the Battle of Cape Passaro, beginning the War of the Quadruple Alliance. The 1719 Rising was a Spanish-backed attempt to divert British resources from the Mediterranean; the plan was for 7,000 Spanish troops to land in South-West England, march on London and restore James Stuart. A simultaneous rising in Scotland would capture Inverness, allowing a Swedish expeditionary force to disembark; this was due to Sweden's dispute with Hanover and an example of the complexity caused by its ruler George I being British monarch. In the event, only George Keith and 300 Spanish soldiers reached Stornoway in the Isle of Lewis on board two Spanish frigates. 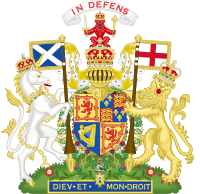 They were joined by a group of exiles from France, including the Earl of Seaforth, James Keith, the Marquess of Tullibardine, Lord George Murray and Cameron of Lochiel. On 13 April, they learned of failure elsewhere; as commander of Jacobite land forces, Tullibardine recommended retreat, but as commander of the two frigates, Keith prevented this by ordering them back to Spain. John Henry Bastide, a subaltern in Montague's regiment who had a long career as a military engineer drew a detailed plan of the battlefield and the movements of the opposing forces soon after the battle. The section detailing the battle itself is missing but it is possible to reconstruct the main elements. Tullibardine prepared a strong position near the Five Sisters hills, with the Spanish in the centre and the Highlanders on the flanks behind a series of trenches and barricades. Wightman's force arrived about 4:00 pm on 10 June and began the attack an hour later by firing their mortars at the Jacobite flanking positions. This caused few casualties but the Scots had not encountered mortars before, allowing four platoons of Clayton's and Munro's to advance up the hill to their lines, then use grenades to bomb them out of their positions. Once the Jacobite right had been dislodged, Harrison and Montague attacked the Jacobite left under Lord Seaforth. This was strongly entrenched behind a group of rocks on the hillside but skilful use of the mortars forced Seaforth's men to give way while he himself was badly wounded. The Spanish in the centre stood their ground but had to withdraw up the mountain as their flanks gave way. The battle lasted until 9:00 pm; several accounts claim the heather caught fire and smoke combined with failing light enabled the bulk of the Scots to disappear into the night. The Spanish surrendered next morning and as regular troops were shipped home; Lord George Murray, Seaforth and Tullibardine were wounded but the Jacobite leaders also managed to escape. An analysis by historian Peter Simpson attributes Wightman's victory to skilful use of mortars, the superior firepower of his grenadiers and the aggression shown by his infantry, especially the Munro Independent Company. The government took Carpenter's advice and for many Jacobites, this was the end; even senior exiles like Bolingbroke, Seaforth and Lord Murray returned home, while George and James Keith both resumed their military careers in Europe and ended their lives as Prussian generals. 300 men of the Regiment Galicia from Spain, under its Colonel, Don Nicolás de Castro Bolaño, along with Brigadier Mackintosh of Borlum. 150 men of the Clan Cameron, under their chief Cameron of Lochiel. 150 men of Lidcoat's and 20 volunteers. 40 men of Clan MacGregor, under Rob Roy MacGregor. 50 men of Clan Mackinnon. 200 men of Clan Mackenzie, under their William Mackenzie, 5th Earl of Seaforth, on the extreme left, up on the side of Scour Ouran, along with a rebel Brigadier Campbell. 200 men of Clan Mackenzie, under Sir John Mackenzie of Coul. 150 men of Clan Murray, under William Murray, Marquess of Tullibardine and his younger brother, Lord George Murray, positioned on the hill on the south bank of the river. Men of the Clan Keith, under their chief, George Keith, 10th Earl Marischal. 150 grenadiers under Major Milburn; Montagu's Regiment, Lieutenant Colonel Lawrence. 50 men under Colonel Harrison. 80 men of the Clan Mackay, under their chief Ensign Mackay, Lord Strathnaver, on the flank. Clayton's Regiment, commanded by Lieutenant Colonel Reading. 100 men of the Independent Highland Company from the Clan Munro, under George Munro, 1st of Culcairn. ^ Glenshiel canmore.org.uk. retrieved January 14, 2017. ^ "The Inventory of Historic Battlefields – Battle of Glenshiel" (PDF). Historic Scotland. Retrieved 2 March 2019. ^ "Inventory battlefields". Historic Scotland. Retrieved 2012-04-12. ^ The Battle of Glenshiel - June 10, 1719 www.clan-cameron.org. Retrieved January 14, 2017. ^ Lenman, Bruce (1980). The Jacobite Risings in Britain 1689-1746. Eyre Methuen. p. 193. ISBN 0413396509. ^ "Map of the Battle of Glen Shiel, 1719". Royal Collection Trust. Retrieved 4 March 2019. ^ Maggs, Stephen. "The Jacobite Rising and the Battle of Glen Shiel, 10 June, 1719" (PDF). G9. Retrieved 18 February 2018. ^ Simpson, Peter (1996). The Independent Highland Companies; 1603-1760. John Donald. p. 103. ISBN 085976432X. ^ Lenman, Bruce (1980). The Jacobite Risings in Britain 1689-1746. Eyre Methuen. p. 195. ISBN 0413396509. Dickson, William Kirk. "The Jacobite Attempt of 1719; Letters of the Duke of Ormonde to Cardinal Alberoni". Retrieved 18 February 2018. Maggs, Stephen. "The Jacobite Rising and the Battle of Glen Shiel, 10 June, 1719" (PDF). G9. Simpson, Peter (1996). The Independent Highland Companies; 1603-1760. John Donald. ISBN 085976432X. Spiers, Crang & Strickland, Edward M., Jeremy A., Matthew. A Military History of Scotland. Edinburgh University Press Series (2012). ISBN 9780748633357. "The Inventory of Historic Battlefields – Battle of Glenshiel" (PDF). Historic Scotland. Retrieved 2 March 2019. Historic Environment Scotland. "Battle of Glenshiel (BTL10)".